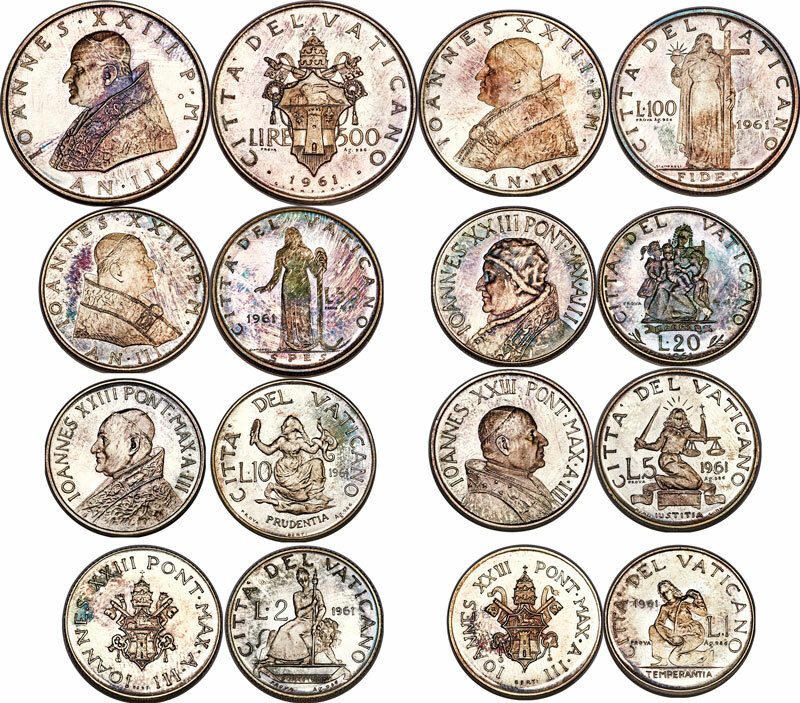 1961 Vatican City eight-coin prova set, a special version of the year's coins struck in .986 silver in a quantity of only 100 sets. Choice and beautifully toned. Typically issued in a card, this set is in a plush case.